One of the most dynamic forces in Jewish life today, Chabad-Lubavitch is a philosophy, a movement and an organization, with 4,000 full-time shluchim (emissaries) directing over 3,300 institutions dedicated to the welfare of the Jewish people worldwide. 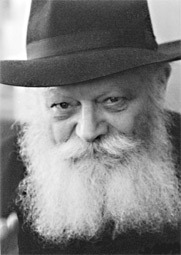 Chabad-Lubavitch is driven by the philosophy and spirit of the Lubavitcher Rebbe, Rabbi Menachem M. Schneerson, known simply and lovingly as the Rebbe. Motivated by the Rebbe&rsquo;s profound love for every human being and spurred by his boundless optimism and self-sacrifice, Chabad career outreach teams of young rabbis and their families have set into motion a dazzling array of programs, services and institutions serving every Jew across the globe for the last several decades. Seeking to help shape the next generation of engaged leadership within the Jewish community and within American society at large, Chabad combines faith and tradition with a welcoming, inclusive and nonjudgmental attitude most effective in today's campus environment. Chabad operates active, full-time outreach centers on over 130 national and international campuses, with part-time outreach activities at an additional 150 universities worldwide. Although Chabad at Yale is affiliated with the Chabad worldwide network, we are responsible for raising 100% of our budget. Additionally, all funds raised stay entirely within Chabad at Yale and are used exclusively for our programs and activities. 4,000 full - time Shluchim (emissaries) families direct more than 3,300 institutions dedicated to the welfare of the Jewish people worldwide.